This Sunday, August 24th, 2014. 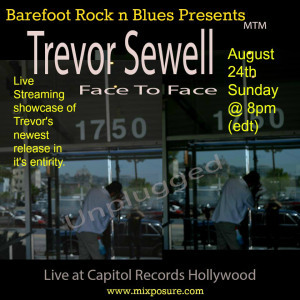 Hear Trevor Sewell’s newest album release in it’s entirety. Congratulations! You’re doing great, lil sis. Keep on, keepin’ on. Take care of yourself. So much love big sis I get from your sharing with me. YOU are one of my biggest supporters. I love you Maxi and hope you’re well. sending you & your girl’s much love and prayers always.